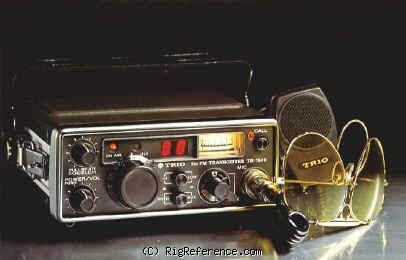 Tough, mostly metal, mobile transceiver with easy two-digit red LED channel number readout, one-hand twist operation, auto toneburst on later models. Very reliable, up to 14W at least, low 1.5W,0.26uV for 20dB s/n ratio. 25KHz on 144~145MHz but xtal change/filter needed to go 12.5 spacing; good audio and 3.5mm ext spkr socket. Rugged and bomb proof internals. Works after immersion and drying out! Straightforward PLL and electronics. Estimating the value of a rig can be challenging. We collect prices paid by real hams over the years to help you estimate the current value of the Kenwood TR-7500. Just bought or sold this model? Let us know what you traded it for and help other ham operators!